As I mentioned in a previous post, “standardization” is not a virtue the IDF seems to put a lot of stock in as a military. It is not uncommon to see many different sorts of Colt M16s in the IDF, ranging from model 603 M16A1s and model 653 CAR-15s to M16A2s and relatively-new M4 carbines. But one common M16 variant in the IDF was never sold by Colt at all, and is a product of Israeli experiences with urban warfare: the Menusar. 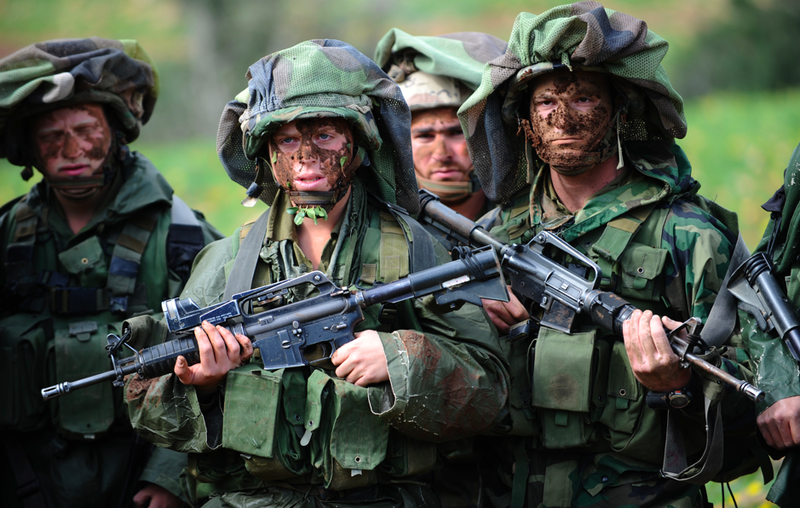 During Operation Nickel Grass, the Israelis received many Colt 603s (20″ barrel, fixed stock, A1 carry handle sights) and Colt 653s (14.5″ barrel, fixed stock, A1 carry handle sights). These were intended to resupply and augment the FN FALs and newly-issued Galils that the Israelis were using during the Six Day War. Of course, the IDF troops discovered that lugging around a 6lb rifle beat the hell out of the much-heavier FN FAL and Galil, and thus the M16A1 became the standard service rifle of the IDF almost by accident. The requirement to use some of the American military financial aid to buy US products further cemented the decision – “free” goes pretty far in removing any other objections. The FN FALs and Galils AR/ARMs were removed from service, with only the Galil SAR living on as a tanker’s backup weapon. Those M16A1s were used hard, and as parts broke, replacements were added as needed. But those replacement parts weren’t always “original” to the model at hand – meaning that you would sometimes see A2 handguards on an A1 rifle, or a newer-version collapsing stock on an A1 carbine. On gun forums, such “mixmaster” AR-15s when made by forum members are referred to as “IDF builds”. But, a certain pattern did start emerging with these modified rifles, and a new variant of M16 was born: the Menusar. In Hebrew, this literally means “sawn”, which is an apt description of the rifle. Before I go further, I want to hat tip the folks at Retro Black Rifle and IDF Carbine for the background info they provided. Some of this is based on their information, other information is gleaned from conversations with IDF members. The Menusar has a ~12.5″ barrel, a generation 2 or 3 collapsing stock, A2 handguards and pistol grip, and has A1 sights (ie, an A1 fixed carry handle). Classically, they are made from chopped down Colt 603s, but some 653s were also supposedly chopped. I don’t have any solid historical information on why the IDF decided to chop down some of their Colt 603s, but they presumably found them too long for urban operations. The use of a ~12.5″ barrel for the Menusar is quite intriguing, because you also saw something similar with the Galil SAR’s 13″ barrel. My research indicates that they went with this length because it was the shortest barrel that could mount an M203 grenade launcher. This would also explain the use of an A2 handguard, which is infinitely easier to remove than the old A1 handguard. I’d be smiling if I had that rifle, too. You’ll recall that the M4 has a 14.5″ barrel because that’s the shortest length of barrel you can mount a bayonet on… I’ve never seen much indication that the Israelis use bayonets outside of prisoner or crowd control, so I guess going shorter makes sense. 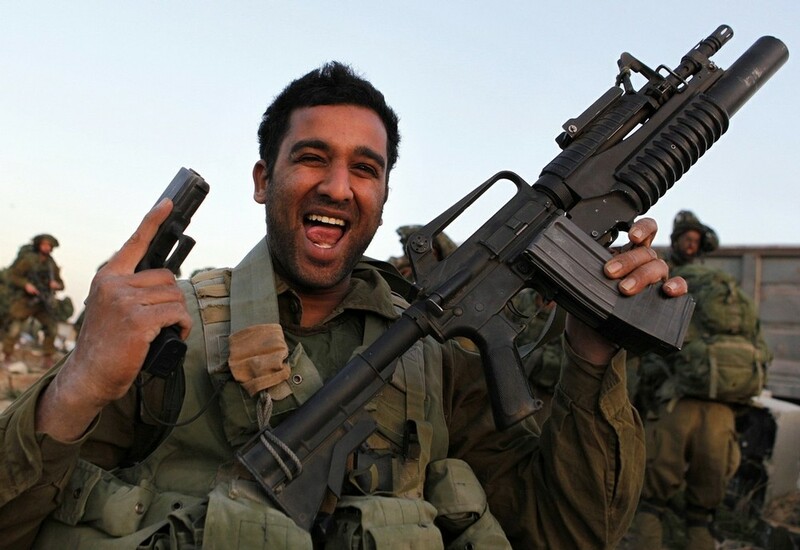 I’ve often wondered why the Israelis don’t seem to make use of Commando-style rifles with 11.5″ barrels – not everyone’s mounting up a grenade launcher, after all. Perhaps they feel the ballistics suffer too much? I could understand that… muzzle energy starts getting marginal for effective combat usage when you hit 11.5″, and that’s going to impact reliability as well. That said, the package as a whole is pretty compelling. Modern shooters are used to heavier “A2 profile” barrels, fancy stocks, and optics. They clearly have advantages, but also weigh your rifle down. A short-barreled M16A1 is insanely light, yet still provides most of the same functionality. Yeah, the barrel will start stringing shots in a sustained fire scenario and that 1:12 twist is awkward in a short barrel, but were you really going for distance shots? In summary, the Menusar is is a clever indigenous adaptation of the M16A1, and thus worthy of study, much like the Filipino variants M16 variants. Hi, i served in Idf, Israeli m 16 version called mekutsar, not menusar, and mekytsrar even more shorter version of m16, anyways it was great gun loved it. One thing that I still not understand is why the Israeli prefers to mount the optics/reflex sight in the handguard instead of carrying handle. I think the Malaysian GGK also do the same thing during UNIFIL and operation ASTUTE. The only difference either they use ACOG comp2 or SureFire reflex. Thanks for the great article by the way.